The Jedox GPU Accelerator uses the computational power of NVIDIA Tesla™ GPUs to speed up OLAP calculations in the Jedox OLAP Server. This article describes how to use the Jedox GPU Accelerator. Note that speedups can only be expected when the majority of steps in the computation chain (e.g. multiplication step in a rule, cell transformation step in PALO.DATA, aggregation) provide enough input cells to fully utilize the GPU hardware, i.e., thousands of cells or more. Note that a conversion of the cube to GPU format is still necessary and requires additional available RAM on the host system. As internally page-locked (pinned) memory is used, system performance might degrade whenever the system runs out of available memory. Writing back to GPU-accelerated cubes is fully supported. Rules are GPU-accelerated under specific circumstances that depend on the query and the rules involved. Most rule functions are supported on GPU. 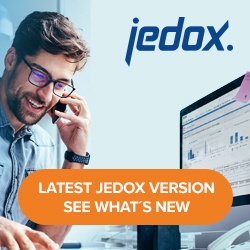 To find out whether all rules are supported for a specific cube, administrators can use the GPU Accelerator Advisor from Jedox Excel Add-in to list all rules, along with GPU support information. Find details here: Jedox GPU Accelerator Advisor.